Click Read More/Comment for additional pictures. 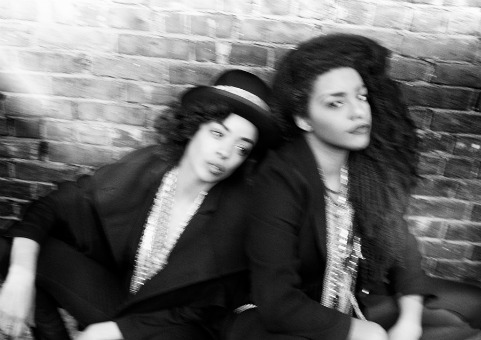 Maryland and Sweden collide with the latest project from Lyricist/Songwriter/Singer (my twin sister), TK Wonder originally from Baltimore and Singer/Songwriter/Producer, Kissey Asplund originally from Stockholm, collaborate to form TK Wonder : Kissey. This magical collaboration produces their first upcoming album together entitled ‘Heartfukk’ (part 1) and if anyone has fukked you’re your heart then this album is dedicated to you. 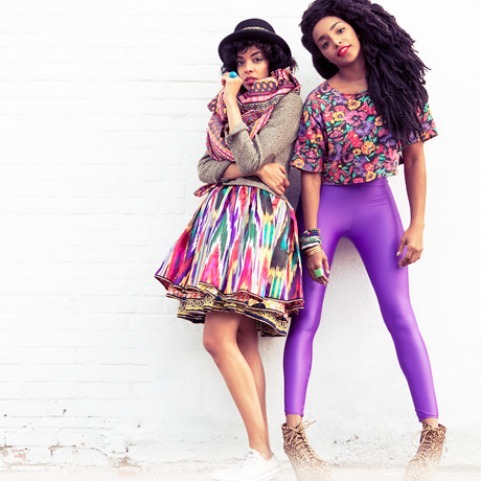 With TK Wonder on mic/song/lyrics and Kissey on music/production/mix this is a duo that is taking an electronic sound to new heights. An advanced promo for ‘Heartfukk’ Part 1 will be dropped in early 2012 as a free download which will be followed later in the year by ‘Heartfukk’ Part 2. The duo has just created their Fan page on Facebook so please show some love and support to new, creative, women doing it for themselves music. Want to hear a sneak peek now? Included below is a snippet of one of the tracks from ‘Heartfukk’ called ‘Down&Dirty’ and the link to their Facebook Fanpage. 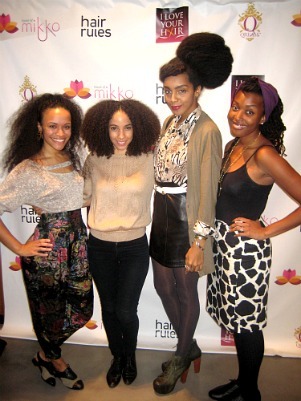 *This weekend on UBB an exclusive of the House of Mikko presents, the ‘I Love Your Hair’ App launch party. Held at the legendary, Hair Rules Salon in NY. Yasss! I can’t wait to hear their music, and how amazing do these two ladies look!!! Hey chica, I included the link above so you can hear a snippet and they do look amazing!!! say yes to purple ! Your sis is FAB she’s rockin the twists like you right? I listened to her songs I used the link you posted I really like her sound. God bless her on her musical journey I hope her success exceeds her own expectations P.S. You all look great in that group pic below!!!! Thank you so much Queen88. I thnk she FAB also!!! I will tell her ;D She is actually rockin a braidout. Thank you again!!! PS: Another thank you. Many more pics will be posted tomorrow! Thank-you Queen88, I appreciate you taking the time to listen. I Listened to “Nightwalker” and “She wants love” , the beats and lyrics are great, does she write all her own lyrics? Many artists have good lyrics but not so good beats whilst others have good beats but the lyrics are like uh?? So it’s a treat to find someone with both. Wish you all the success, just keep believing and doing you. You are awesome!!! Thank you for taking the time to listen and yes!!! She writes ALL of her lyrics! She really feels that is an important process with any music she is involved with. I wish you much success as always and thank you again, I will let my sis know. Talk soon. Thank-you Browndusk! Yes I write my own lyrics.! I feel as a rapper it’s a must. I can go into an entire rant about rappers who have ghostwriters but I won’t, lol. you defo have a new fan. Will do Browndusk and thanks again. Looking forward to this! Keep us posted on the release date. Awesome :DDD I definitely will! How do you get your hair so long ? I watched TK Wonder for the first time today on Youtube and I’m completely in awe! I love her style and Rap/singing skills. Tk offers a fresh look and originality to the game!!! 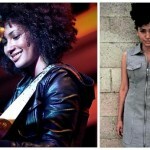 I love her and am looking forward to hearing / seeing more of her in 2012.Awesomeness. It’s refreshing to read about black women encouraging each other to be comfortably natural.